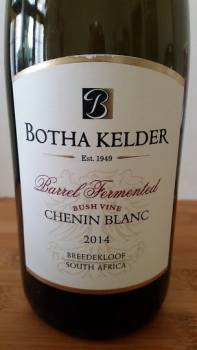 The Chenin Blanc Initiative sees nine Breedekloof wineries collaborating around Chenin Blanc in order to uplift the image of the district and the Barrel Fermented 2014 from Botha Kelder is yet another of the wines which really impresses. Grapes come from 24-year-old dryland bush vines and the wine was fermented and matured for 10 months in barrel, 60% new. The nose displays citrus, peach as well as an intriguing herbal note before some leesy complexity. Big but balanced on the palate with layers of flavour. Sweet, sun-kissed fruit offset by snappy acidity. Pleasantly weighty with a long, savoury finish. Crazy good value at R75 a bottle. Previous articleTim James: Could great old names be rescued? Were can this be sourced from?